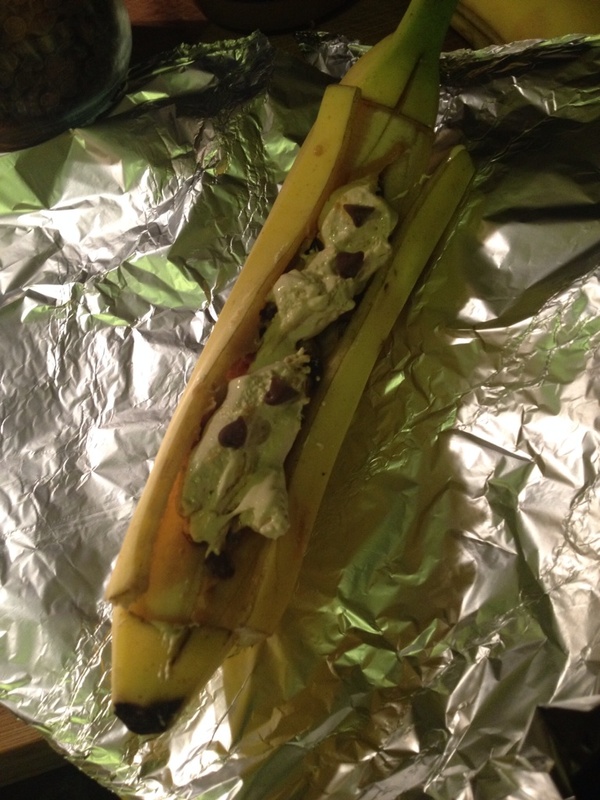 If you are an avid Pinterest user like me then you will probably have seen at least one image of a banana stuffed with chocolate and other treats and cooked on a campfire. I know I’ve seen it thousands of times and every time I drooled a little and thought I must try that. Well last week I received my Degustabox subscription and in the box was a pot of Solo Toasted Marshmallow Creme. This is every bit as good as it sounds. 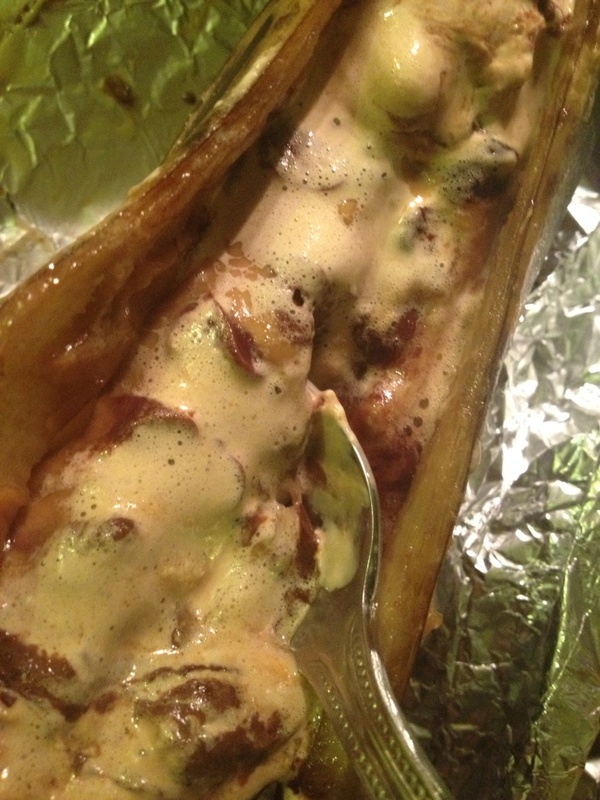 The box actually suggests s’mores as a serving option so I thought why not try the campfire s’more style banana boats so.. I did and they are incredible. So simple, a perfect last minute dessert and it tastes extremely indulgent. I added peanut butter to ours as I think it works really well with banana and some chocolate chips – because chocolate enhances most dishes. 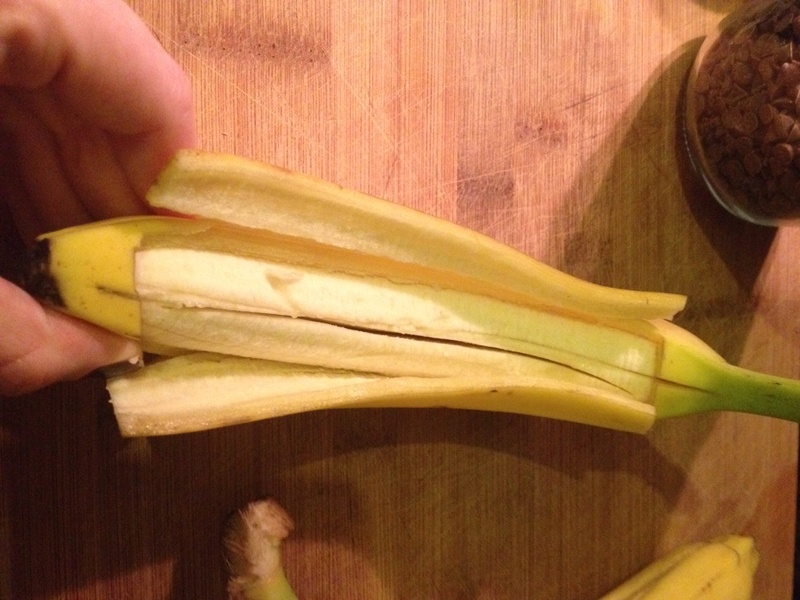 Slice through the peel of your banana almost through to the peel on the other side but not quite. 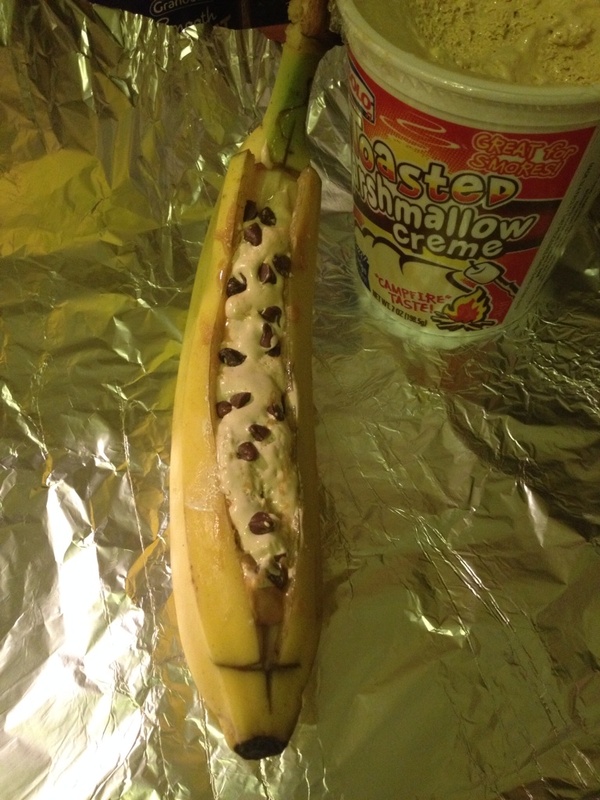 Open the peel up to create a pouch and fill the inside with your peanut butter and top with the marshmallow creme and choc chips. Wrap in a loose foil pouch and bake in a very hot oven ( gas mark 6) for about 15 minutes. 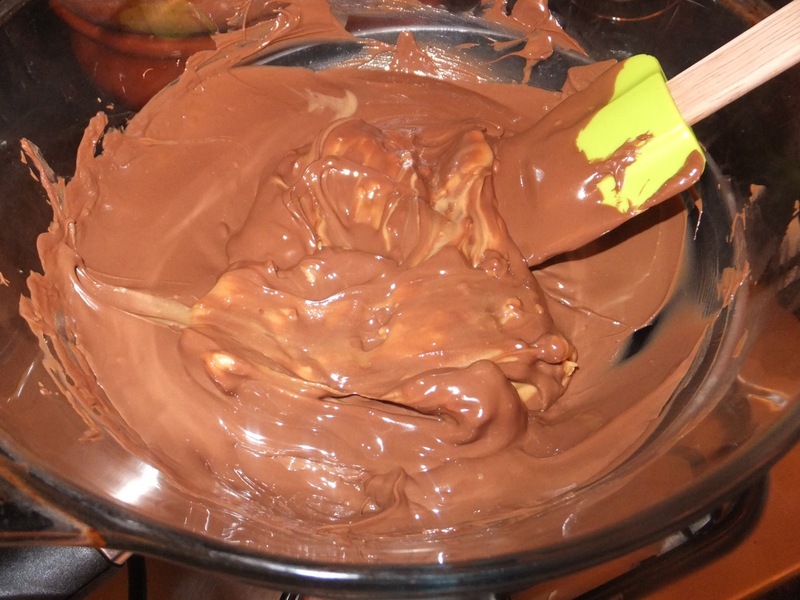 Eat fairly quickly whilst your ingredients are melted and oozing but watch you don’t burn your tongue. You could serve with icecream or whipped cream but it’s perfectly awesome on its own. Enjoy. You can buy Solo Toasted Marshmallow Creme from American Soda. * I was gifted a Degustabox box for the purposes of a review. 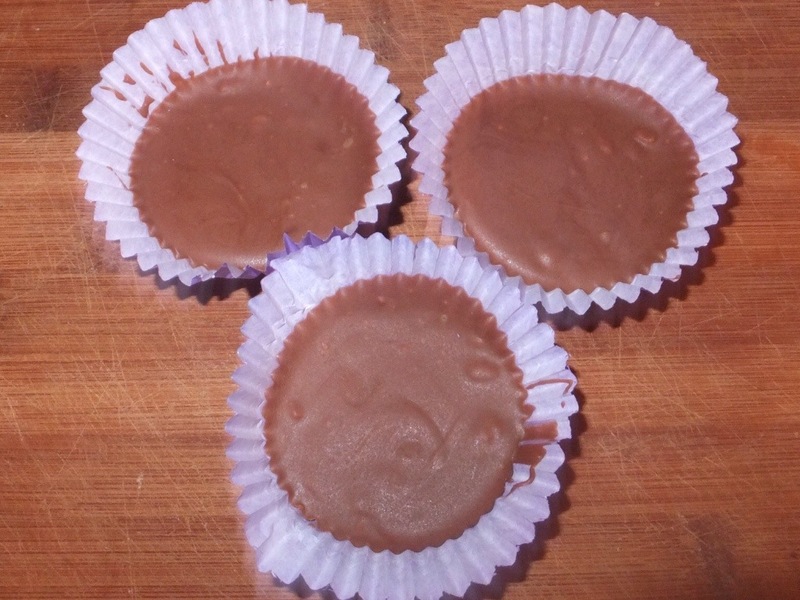 Homemade Peanut Butter Cups.. The easy way. It seems that posting my I miss cooking blog post last week inspired me to do some cooking. I haven’t gone overboard as I still have a serious lack of energy but I did make a huge batch of slow cooker bolognese last week followed by a lasagne ( using the bolognese sauce) an emergency batch of chocolate cupcakes on Saturday night at 10pm as I was craving cake and then yesterday I decided to make a recipe I’ve made quite a few times over the past two years so much so that I can’t remember where I found the original recipe and also I don’t think I even keep to it anymore as I found I made too many and they were too sweet on my first attempt so apologies if this recipe is adapted from yours! 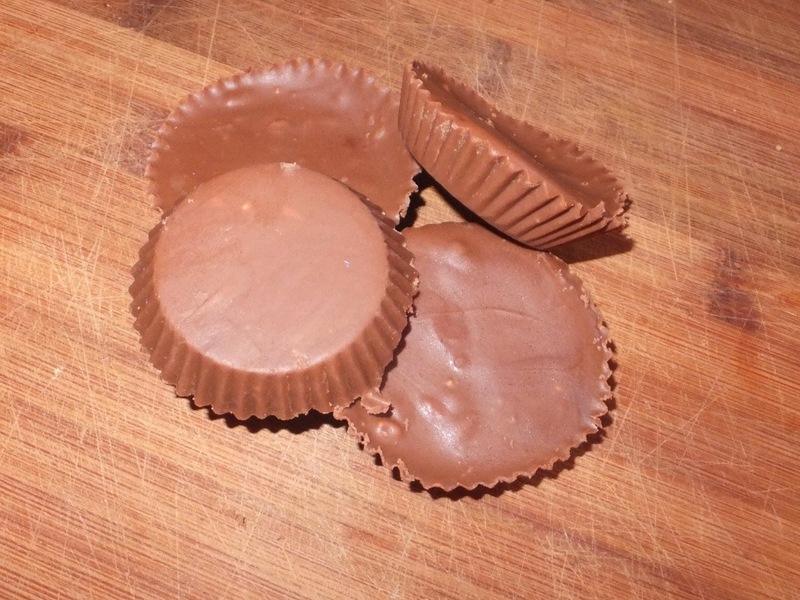 This is an easy peasy recipe for peanut butter cups, if you love the Reeses version then these are a great substitute. You don’t get the two separate layers of chocolate/peanut butter but it still tastes awesome and well it’s simple! There are lots of far fancier recipes online if you want the real deal. 200g of good quality milk chocolate – I’ve used Cadburys dairy milk which was fab but yesterday I just used Aldi own brand (30p a bar) and that was pretty good too. 1/2 a cup of peanut butter ( smooth if you like the reeses texture) this time I used crunchy Skippy peanut butter which was delicious. 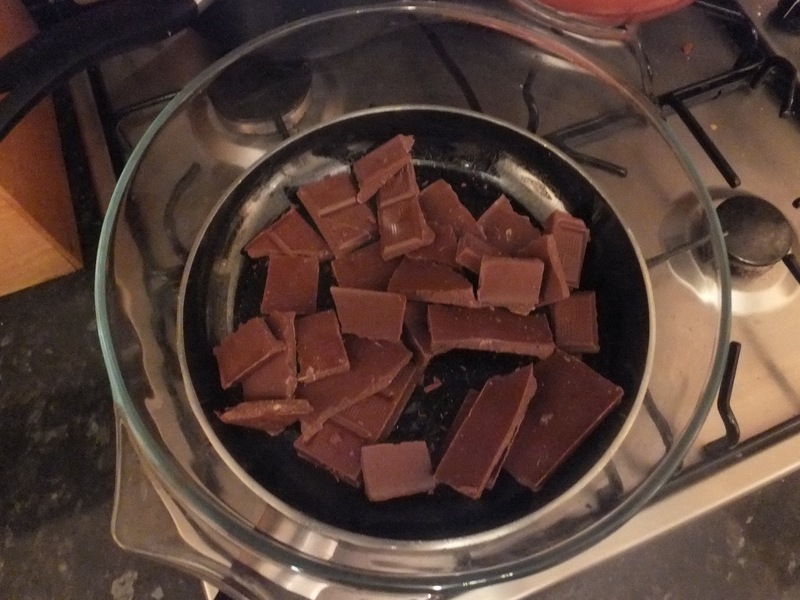 Using a Pyrex glass bowl over a saucepan of simmering water melt your chocolate slowly before adding your peanut butter and slowly melting/stirring to combine. 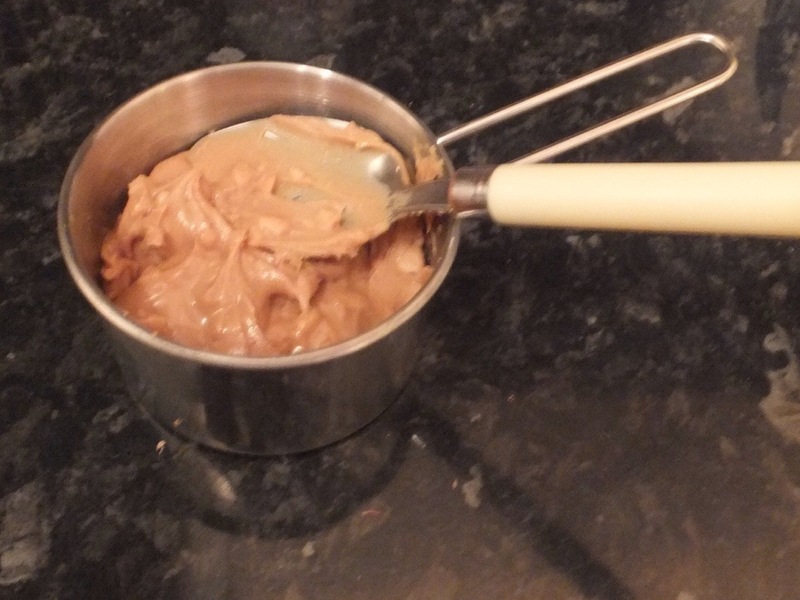 Once you have a gorgeous silky chocolatey peanut mixture feel free to taste (be careful) and add more peanut butter if needed. 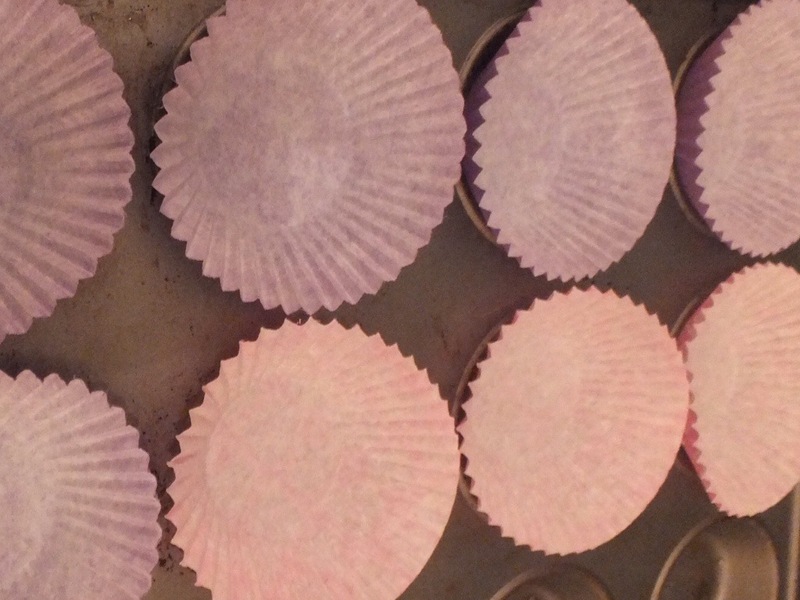 Remove from heat and spoon into cupcake cases. This made about 8. Don’t overfill your cases as these are very rich and you will find it very hard to eat more than one in one sitting. 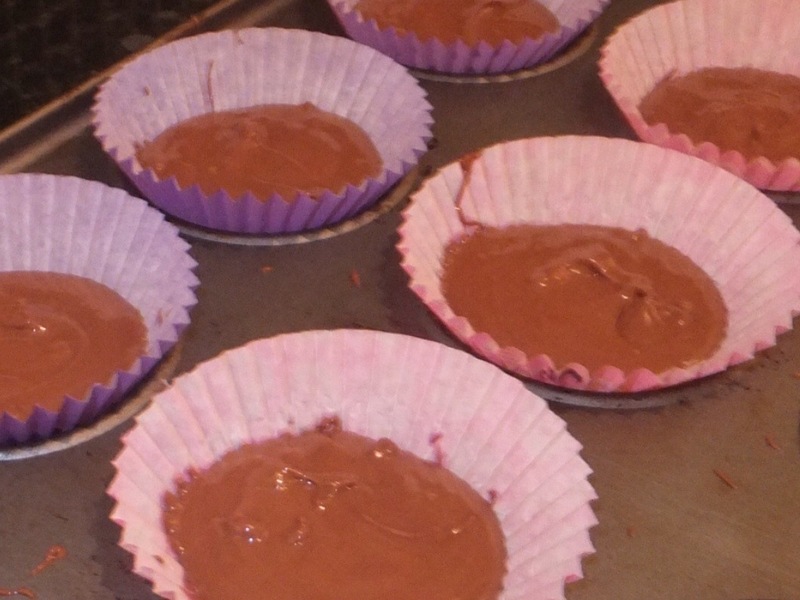 Place in the freezer on a cupcake/muffin tray for 45 minutes then refrigerate in a sealed box for as long as they last. I took a photo of my Sunday supper to use for my Silent Sunday post but after eating it I decided it would be a little unfair if I didn’t explain this delicious naughtiness. 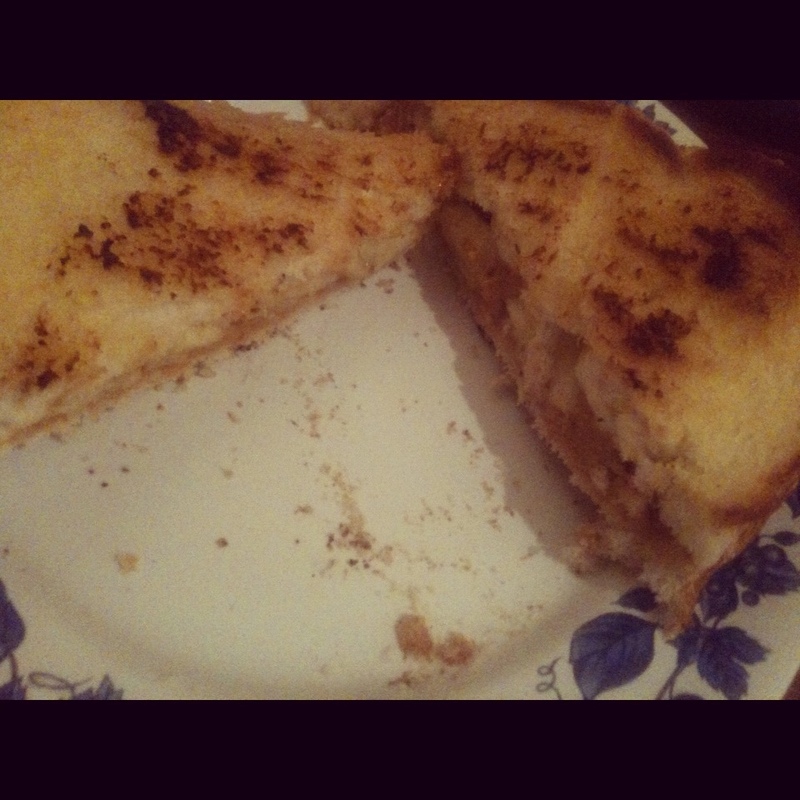 So here it is some photos of a fried peanut butter and banana sandwich. Ok so it wouldn’t be good to eat this every day in fact I’ve had it maybe twice in the past year but as a one off on a cold autumn evening why not? 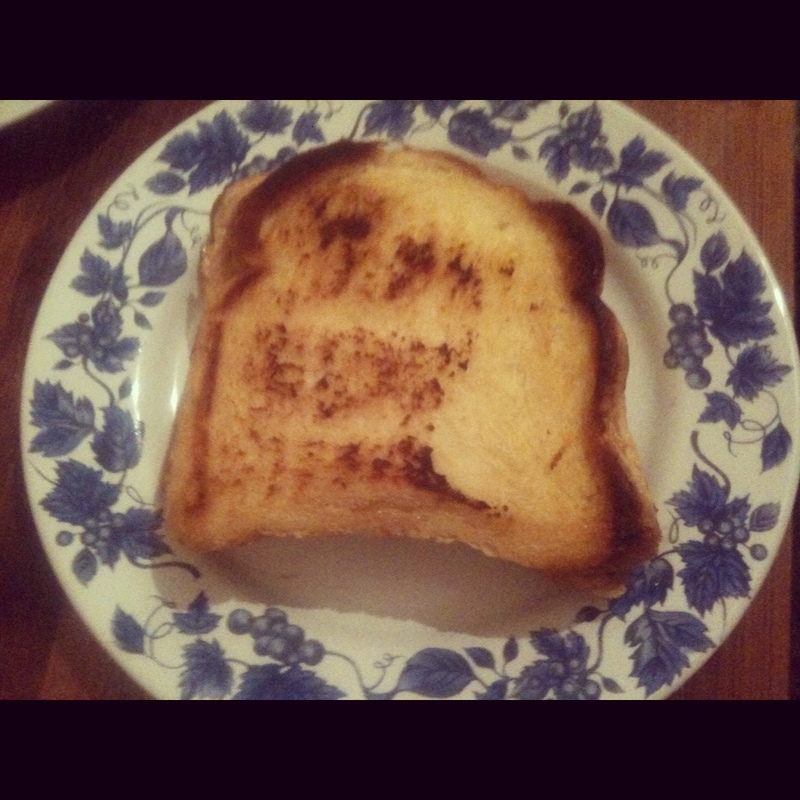 This sandwich was made famous by being a favourite food of Elvis Presley but I first discovered the recipe in a Nigella Lawson book (Nigella Bites) a few years ago. 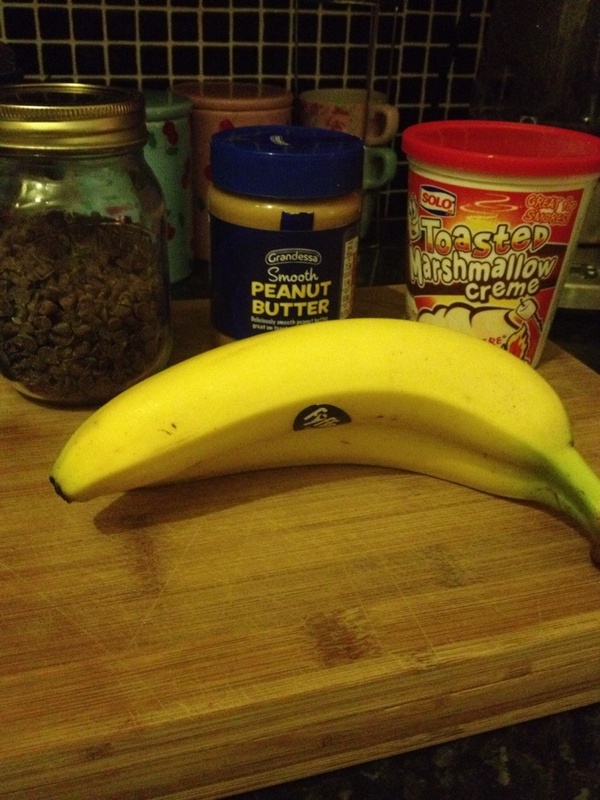 A friend of mine tweeted that she was having a non fried boring old peanut butter and banana sandwich yesterday so it’s been kind of on my mind.. When I discovered a bag of bananas that were well … shall we say ripe in my kitchen tonight it seemed like a sign so I made these deliciously indulgent gooey delights to enjoy whilst avoiding X factor and watching Dexter! It was a perfect combo.